Andover, MA (July 5, 2018) – A crash with injuries occurred Wednesday on 495 South in Andover, Massachusetts. The crash happened near Route 93. The accident happened when a driver left the roadway for an unknown reason and crashed into a set of trees off the right side of the highway. Police in Andover along with fire and emergency officials came to the crash scene to survey the damage and evaluate the driver for injuries. The driver received medical treatment at the crash site. It is not known if additional treatment was necessary but the injuries do not appear to be life-threatening. Police have not released a cause for the crash or why the vehicle may have left the road. The accident is still under investigation at this time. If you’ve been hurt in a collision, you may not think that you need an attorney. 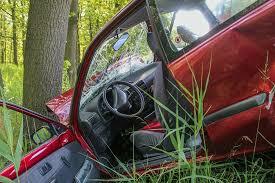 Whenever you are involved in a crash, you are facing major uncertainty about your future. However, the decisions you make right after the accident can have a huge impact on how your future shapes up in the months and years to come. The insurance company will call you right away to offer a quick settlement which may initially seem attractive. Before you accept or sign anything, you need to speak with a good attorney first. You should never compound the accident by choosing to handle things yourself or hiring an inexperienced attorney to evaluate your case. At the Law Offices of Jeffrey S. Glassman, we focus our practice on personal injury and have experience in accidents involving all types of vehicles and circumstances. Our team of attorneys knows how to help if you have been injured in a Massachusetts car accident. Our team knows Massachusetts injury laws inside and out and we know how to apply them to your benefit. Even better for you, we recover nothing unless you also recover money for your injuries. There is absolutely no obligation on your part. You have nothing to lose if we take your case and nothing to lose by calling us.